It all started last Saturday. 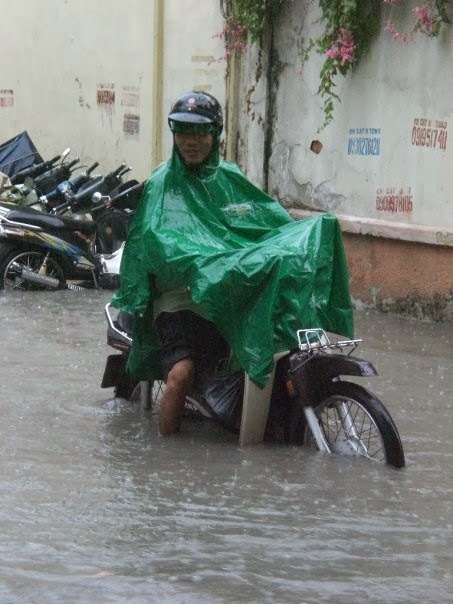 On top of having quite the situation with my Vietcombank Visa card and getting stuck in a huge rain storm on my motorbike our house almost flooded. Our door is not fully sealed to our house (our door is a gate) so the front entrance is raised up for this exact situation. 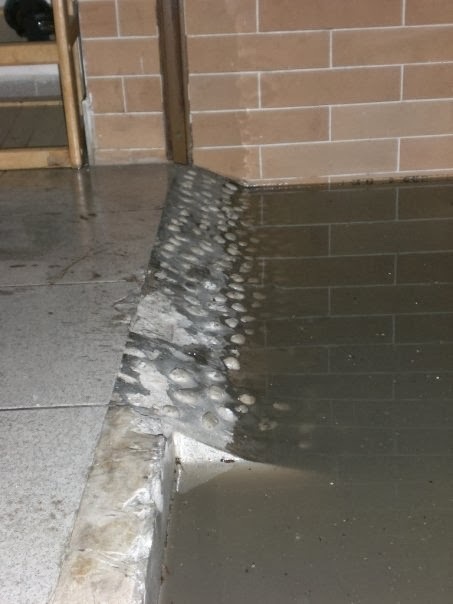 There was an inch to spare before the entire first floor would have been covered in the most stinky, polluted, gross, black water. Thank goodness the rain stopped right before I left that night to catch my plane to BKK but I still had to walk through about a foot and a half of water running down our street to get to dry land to catch a motorbike taxi to the airport. I got to BKK without any problem which is shocking with my luck at airports. I am in the customs line when I friended this girl from Switzerland and that was the start of my night. We both caught the Airport Express bus to Khao San Rd (the backpacker capital of the world). While on the bus I asked her where she was staying and she said her dad had prebooked her a hotel room. She then offers for me to stay with her (okay... a free room even if it is a with a stranger, sounds good enough to me). We headed to her hotel which was just off Khao San Rd. As we arrived we found out that her dad had booked her a single room. At that point I was willing/wanted to head to the hostel that I always stay at where the rooms are 200 baht but no, she instantly said no problem we can just share the single bed. Uhhh, okay? I ended up having to pay 200 baht anyways because we were adding an additional person to the room. So I ended up sharing a twin bed with a European stranger and paying 200 baht. By the way here name was Tiffany. We introduced ourselves at the hotel check in. It was a crazy night in Bangkok with strangers left and right but a fun one. That night I got about two hours of sleep before I had to wake up at 4:30 am to get back to the airport to fly to Chiang Mai to meet up with Sara (I met Sara studying abroad in Italy).